Being a Jack of all trades, that is how Wood County Farm Bureau members and cranberry growers Warren and Jennifer Brockman describe their unique career in growing the state fruit. Together, the couple owns Hemlock Trails Cranberry Company, Inc., the same marsh that Warren grew up on. Cranberry growers, like other farmers, must wear many hats. Warren is in charge of the day-to-day work on the marsh, which means being a meteorologist, mechanic, welder, agronomist, project planner, accountant, entomologist and much more. “The variety in the job keeps it interesting and there’s always something new to learn,” Warren said. While Warren has been around the marsh his entire life, Jennifer grew up a ‘city girl’ and moved to the marsh in 1997 after the couple was married. 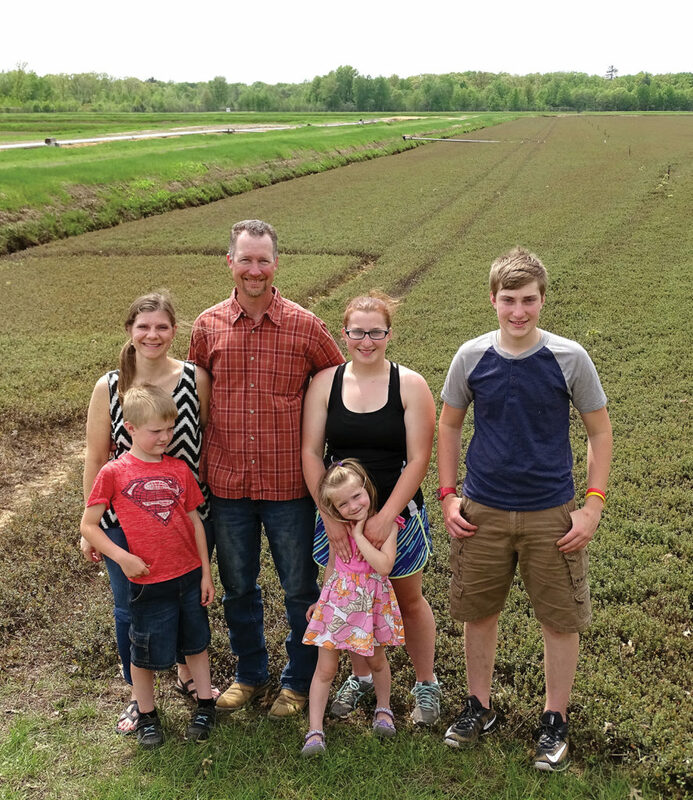 Growing cranberries in Wisconsin is truly a family affair, many of the more than 250 growers in the state are fourth and fifth generation growers whose families have been growing cranberries on the same land for generations. “My favorite part of being a cranberry grower is being able to raise my family in the country with fresh air and the ability to learn a strong work ethic,” Jennifer said. The couple has seven children. Emily and Nick are in college and Jennifer homeschools the five youngest children. From left: Peter, 6; Jennifer; Warren; Emily, 20; Maria, 4 and Sam, 13. Not pictured: Amber, 16; Nick, 19 and Joseph, 9. The family is closely connected to the land they grow cranberries on and constantly work to be good environmental stewards. “We live where we work and want only the best for our family, so we are constant stewards of the land and water,” Jennifer explained. While the family loves their rural lifestyle, they also face some challenges. 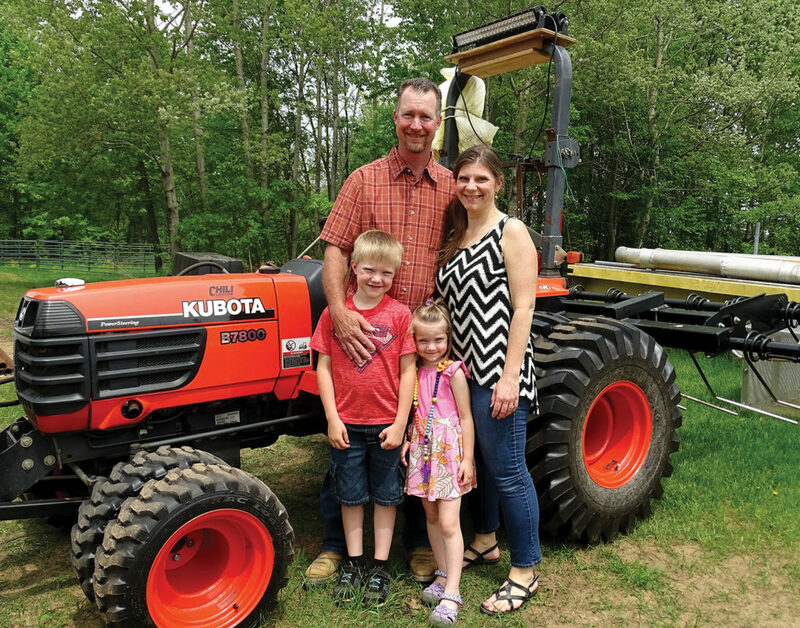 When he was 33 years old, Warren needed a spinal fusion, which changed his outlook on life and farming. “It made me realize that I needed to back off and that it is ok to take some time to rest and recover,” Warren said. Since cranberries are a unique crop, growers often need to modify or build equipment. 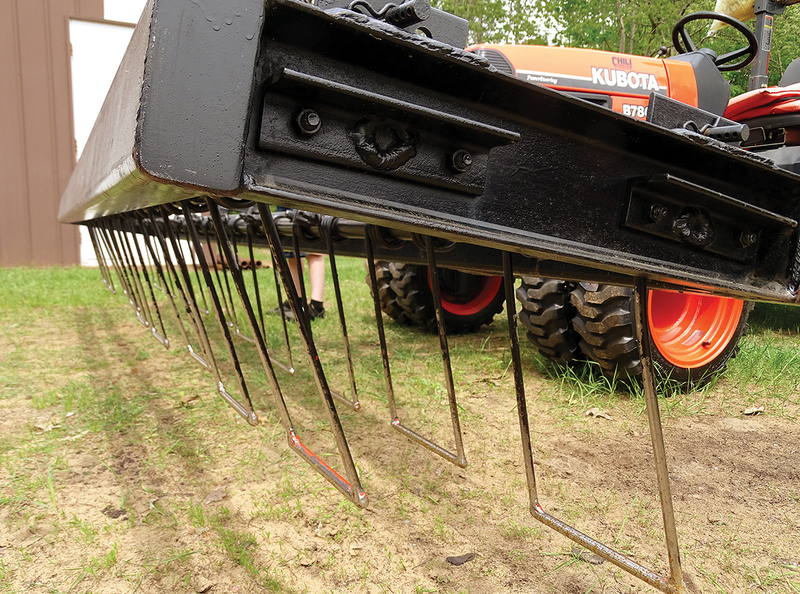 Pictured is the third version of a harvesting attachment built by Warren. 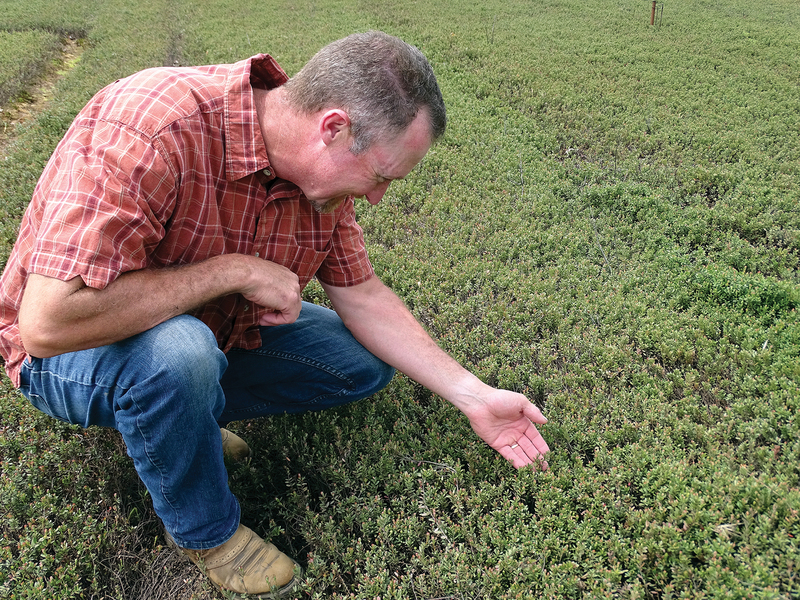 Being a perennial crop, cranberries require year-round care. Jennifer explained that all year they are busy caring for the plants, even in the middle of winter. When the temperatures get too cold, or fluctuate above and below freezing, cranberry growers must take special action to prevent damage to the plants. Contrary to popular belief, the red berries do not grow in water. Rather, the marshes are temporarily flooded in the fall to aid in harvesting. In Wisconsin, cranberries are grown on 21,000 acres across 20 counties. Through all the physically demanding work and challenges, Warren is optimistic about the future of agriculture simply because people need to eat. Jennifer adds that she is excited for the future because young people who pursue agricultural careers bring a fresh, new perspective. Jennifer is passionate about sharing her agriculture story via social media, specifically through videos on her YouTube channel. Last fall, she did an Instagram takeover on the Wisconsin Farm Bureau account to showcase a day in the life of a cranberry grower during harvest. The Brockmans joined Farm Bureau in 2001 to be part of an organization that served as a voice for farmers. Each day may be different on the marsh, at home or within their local Farm Bureau, but every day the Brockmans are hard at work as one of the families behind our state fruit. Story by Sarah Marketon. Original version appeared in the June/July 2018 issue of Wisconsin Farm Bureau Federation’s Rural Route.